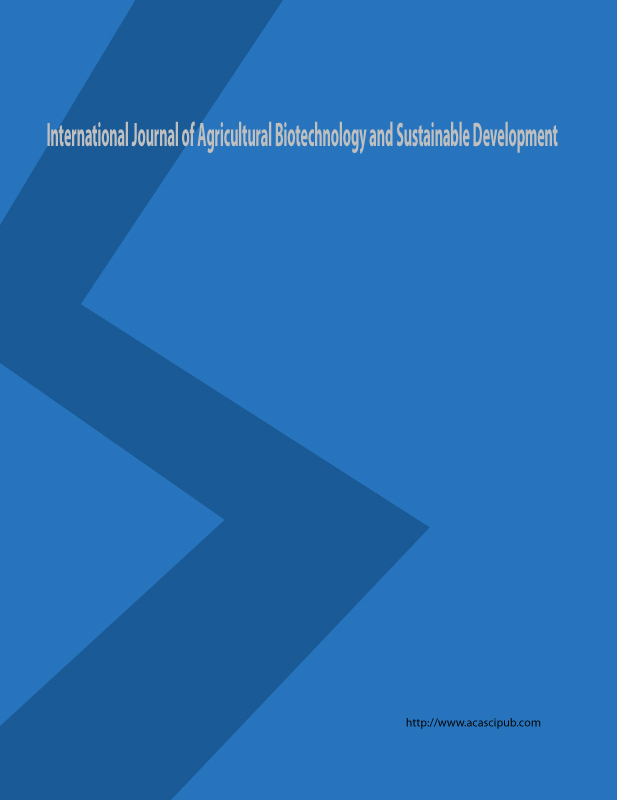 International Journal of Agricultural Biotechnology and Sustainable Development (IJABSD) is peer reviewed, online an open journal. It serves as an International Journal of Agricultural Biotechnology and Sustainable Development (IJABSD) forum of scholarly / researcher / academician research related to Agricultural Biotechnology and Sustainable Development research. International Journal of Agricultural Biotechnology and Sustainable Development (IJABSD) are covers all the fields of Agricultural Biotechnology and Sustainable Development related. There is no limit and covered full length research article, short communication, review paper, case study, and etc. International Journal of Agricultural Biotechnology and Sustainable Development (IJABSD) are inviting you to submit your paper and paper will publish without delay. International Journal of Agricultural Biotechnology and Sustainable Development (IJABSD) journal content will review by most prominent experts in the respective field.